“What to Expect at a Sacred Harp Singing” was written by Debora Grosse and appears on the Georgia State Sacred Harp website. It is used here with minor alterations with the kind permission of Debra. What is it like? How Do I Get Involved? Anybody is welcome to walk in, find a seat, and try singing. You will be gently encouraged to participate, regardless of whether you think you are a good singer. If you prefer, you can just listen. There is no boundary between listeners and singers. The atmosphere will be relaxed. There will be plenty of food, so stay for dinner. While some shape note books include old-fashioned gospel hymns, the music in the most widely used book, the 1991 Sacred Harp, has an unfamiliar older sound. What is shape note music like? The basics of shape note singing are covered in an excellent handout for beginners (PDF) by Lisa Grayson. The note heads are shaped according to their position on the scale: fa, sol, la, and mi. It is customary to sing the shapes before singing the words of the song. ” The Sacred Harp uses just these four shapes. In the late 19th century some publishers introduced 7-shape notation to represent the familiar do-re-mi-fa-sol-la-ti-do system. You can get an idea of the style from this song “Panting for Heaven”, recorded at the 150th annual Chattahoochee Convention. (It’s on June Melton’s Pilgrim Productions site.) However, MP3 files can only hint at the sound you experience at a singing. 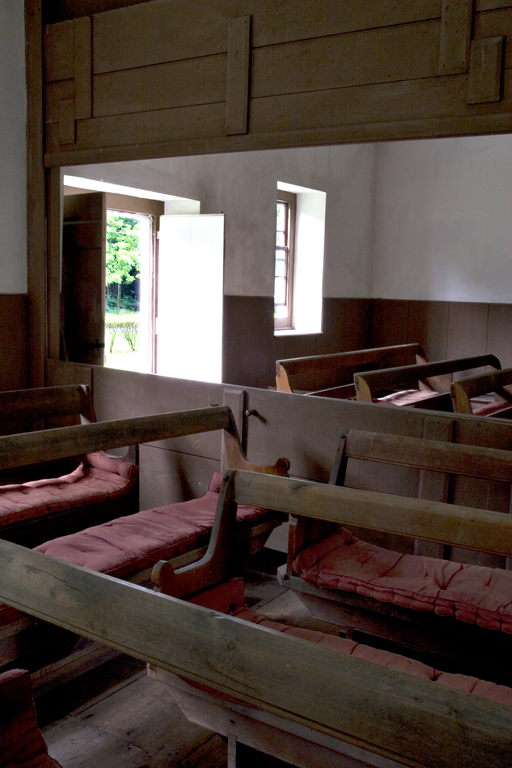 The best place to hear Sacred Harp is in the middle of the square of singers, preferably in a room with the acoustics of a wood-panelled country church. At Sunday singings, people tend to wear clothing that would be appropriate at an informal church service. Lisa Grayson’s beginners’ sheet (PDF) explains where to find the section for your voice part. Wherever you sit, do not sit shyly in the back by yourself. Sit next to an experienced singer so you can follow along. No one will mind when you make mistakes. For a little instruction, try attending a local or all day singing. New singers are always welcome, loaner and sale books are available.